Today, Commercial Real Estate purchasing issues are more complex than ever before. Why wouldn’t you welcome the help of an expert who is up-to-date and fully focused on present-day issues, conditions and values? Ultimately, our aim is to ensure that our clients find the best property that meets their needs at the lowest possible costs. Your requirement becomes our number #1 job. 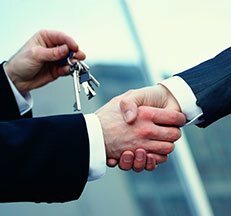 It makes good sense to use a specialist who knows the market and represents your commercial buying interests. One retains an exclusive real estate broker for the same reason that one retains an attorney, accountant or investment advisor. A company unfamiliar with the local commercial real estate market requires the knowledge and objective advice that only an active professional provides. We have access to commercial real estate databases to assist in finding the appropriate property. As your Buyer Representative, our goal is to represent your interests only and to get you the best value. We are paid from the Seller or Seller’s Broker, so their is No Cost to You!